April is Autism Awareness Month, and there’s never been a better time to learn about autism, its effects and what you can do to help improve the lives of those affected by it. Autism is a complex condition that’s classified as a spectrum disorder. This means individuals with autism can exhibit any number of the signs or symptoms medical professionals use to identify it. They may exhibit a large number of traits usually associated with autism, or they may exhibit very few. It’s usually diagnosed during childhood and effects the individual’s development, particularly in how they learn to communicate with others and express themselves. 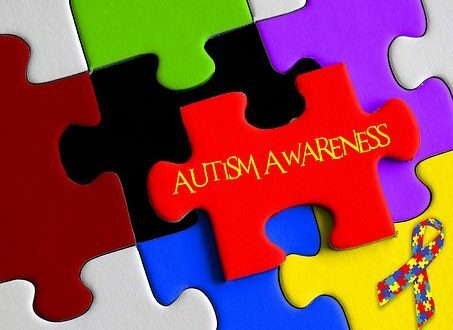 Autism Speaks, an organization that advocates for autistic individuals, defines the “core symptoms” of autism as communication difficulties (often observed during infancy), social challenges and repetitive behaviors that range from finger wiggling to arranging and rearranging objects in front of them. These core symptoms represent a general picture of autism, but the exact effects of autism are often unique to individuals. It’s unwise and unnecessary to attempt diagnosis of any individual unless you’re a medical professional. Never assume someone is autistic based solely on observation of their behavior. Autism is more common than some would realize. It’s present in as many as one in 68 births in the United States. Because of this, and the nature of its symptoms, you may work or have a class with an autistic individual and not realize. It’s important to remember that many individuals with autism strive to work, obtain an education and fit into society, just like anyone else. First, remember that autistic people struggle with things we take for granted. It’s always important to be patient and respectful when interacting with them. Those with autism often communicate best in statements that are frank and literal. Subtext or implications may go unnoticed. Asking too many open-ended questions can pose challenges for people with autism. Keeping questions concise and direct will help them respond more easily. Eye contact may be uncomfortable for those with autism and will often distract them from communicating verbally. Don’t force it. Additionally, their understanding of tone, body language and other forms of non-verbal communication may be limited. Focus on conveying your message verbally in clear, direct sentences. Don’t take an autistic person’s blunt or matter-of-fact way of speaking as offensive. Don’t grab, hug or reach for them quickly or unexpectedly. Don’t raise your voice unexpectedly, either. Don’t talk down to them, treat or speak to them in a manner that’s derogatory or condescending. Their struggles with communication don’t make them unworthy of respect. Finally, remember that autism is a spectrum disorder. You may meet someone with autism who has almost no verbal ability or someone with almost no visible symptoms. Patience and understanding will help you recognize the level of communication most comfortable for each individual. With knowledge, compassion and understanding, we can all contribute to the mission of Autism Awareness Month and support those with autism in our lives and communities. Story by Robert Davison, staff writer. Photo courtesy of Pixabay.